Dr. Carol Colannino teaching 4-H youth to excavate. Archeology is the study of the human past through the objects that people made and left behind. This lesson provides the foundation for the exploration of Native American foodways. 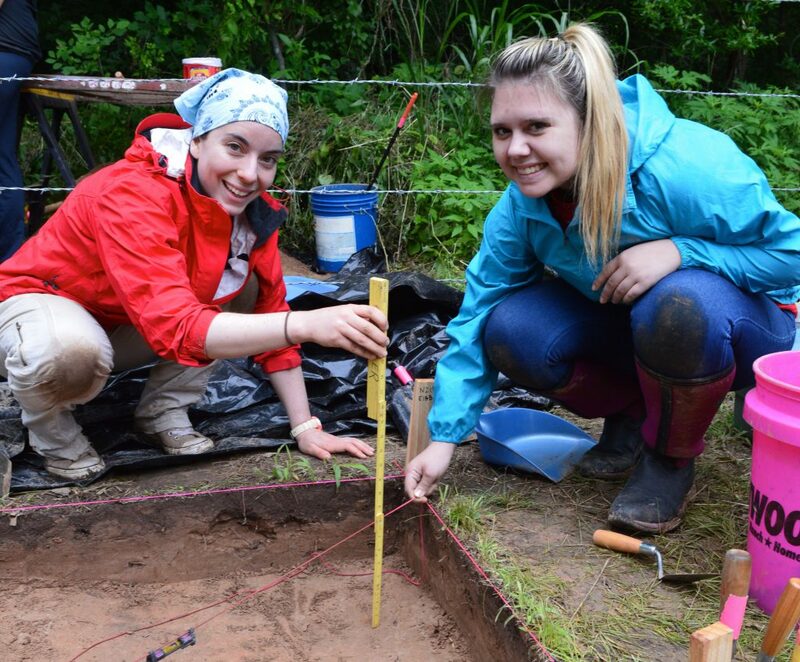 Students learn how to define archeology and dispel popular misconceptions about it. They also gain an understanding of the importance of context and chronology in archeology. We have included the educator and student materials from the Gathering, Gardening, and Agriculture curriculum here to help make teaching easier. The activity sheets can be easily downloaded and photocopied. The PowerPoint includes all of the materials that may need to be projected while teaching this lesson. To request a copy of the curriculum, contact Nancy Smith at nms011@uark.edu or (479) 575-3556.